“Collective behavior” is can be defined as human individuals acting together in groups; these groups can be as small as three people, or as large as millions of people. Collective behavior is also concerned with animals forming swarms and flocks, neurons firing in synchrony, and chemical and biochemical particles with on-board energy depots acting together as a whole. As such, collective behavior refers to units (humans, animals, neurons, biochemical substances, etc.) interacting with each other to form a whole. In physics, collective phenomena have been studied for a long time for systems that are in thermodynamic equilibrium. Magnetism produced by the alignment of elementary spins is a well-known example. In contrast, in this book, collective behavior refers to systems composed of units that operate far from thermodynamical equilibrium. It is about lifeforms and active biochemical substances. 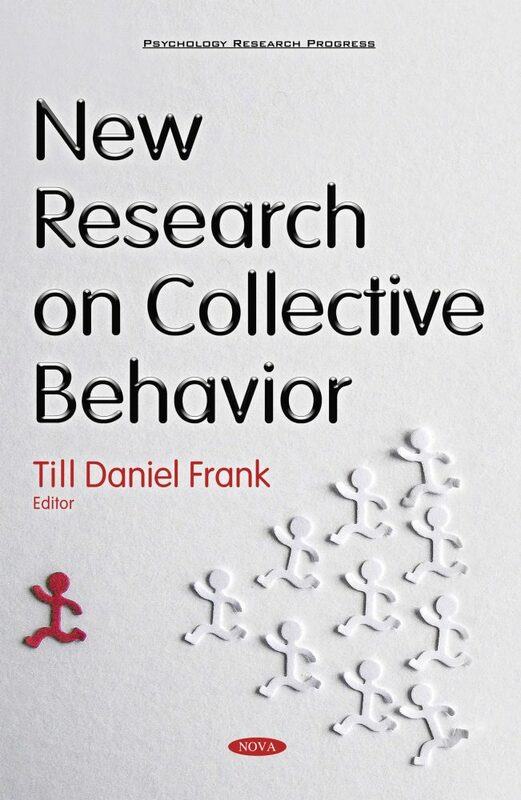 This book presents recent developments in the research field of collective behavior. Various disciplines are addressed, ranging from economy, leisure sciences, and psychology to neurosciences, physics and biology. This book is intended both for the general reader interested in collective behavior and for the quantitative researcher looking for an update in this rapidly developing field. This book has two parts. The first part presents theoretical fundamentals and concepts. The second part provides chapters with mathematical modeling and simulations. Although the individual chapters of this book report from a variety of research disciplines, the chapters are interconnected with each other and give rise to a general picture of the state-of-the-art research on collective behavior. This book is intended both for the general reader interested in collective behavior and for the quantitative researcher looking for an update in this rapidly developing field. Target audience includes economists, researchers in leisure sciences, psychologists, neuroscientists, physicists, and biologists.